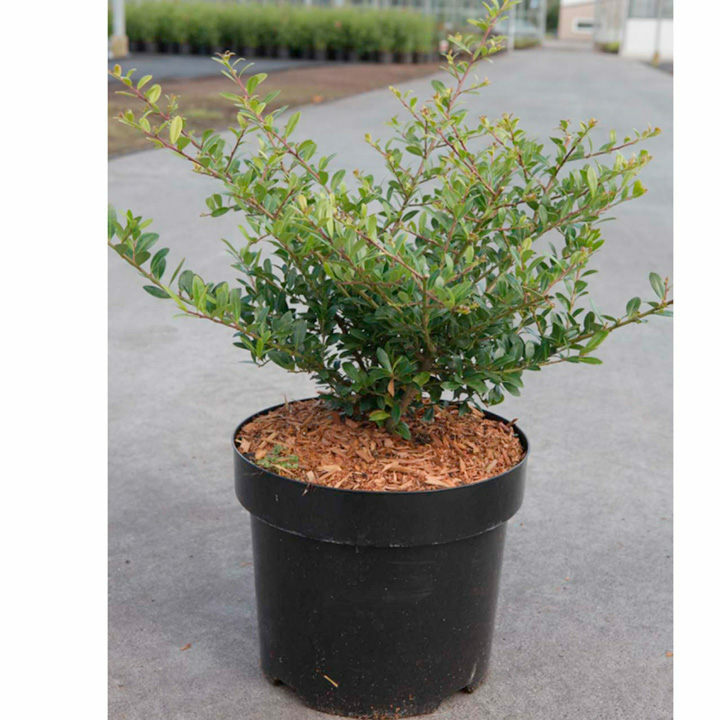 Ilex crenata 'Stokes' is an elegant shrub that will add good structure to a formal planting scheme with its small-growing habit and evergreen, dark to mid-green, glossy foliage. Its white flowers are followed by black fruits in winter. Its compact growing habit and small leaves makes it ideal for topiary shaping and also for hedging. And another unusual use is bonsai making. Flowers May-June. Height 90-100cm. Supplied in a 3 litre pot.